From 1 Day experiences to advanced DJ, Production & Radio coures, we have put together some of the most exciting packages you could hope to experience from an academy, with the small added bonus of the Mediterranean sunshine & access to Ayia Napa’s biggest & best..
For 24 years the Castle Club has dominated Cyprus’ nightlife in spectacular fashion. With it’s immense presence, 14 Bars, 18 resident DJ’s, 3 Hosts in 3 rooms of music, Ayia Napa’s largest outdoor chill-out zone and an elevated VIP, the Castle Club is not only the biggest club in the country, but a venue that ensures quality and class seven days a week through summer time. We have selected some of the finest DJ/Producers for their experience not just in DJ’ing and Production but also in how to develop a successful Career in the industry. They will guide you through the course from a technical aspect, and will share crucial hints and tips on how to get you to the highest level. 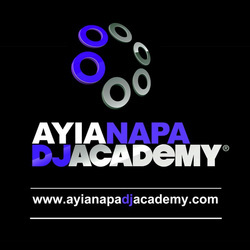 Besides learning how to become a DJ or Producer you will also have a 2 week trip in the Ayia Napa sunshine. Our seasoned staff will put you in touch with the right people to make the most of that dip in the med, from bike hire to restaurants, booze cruises & beyond. With the legendary venue, top tutors, an extensive program designed to get you working on the finest systems around and a 2 week behind the scenes excursion to the Ayia Napa nightlife… it promises to be a truly unforgettable experience.